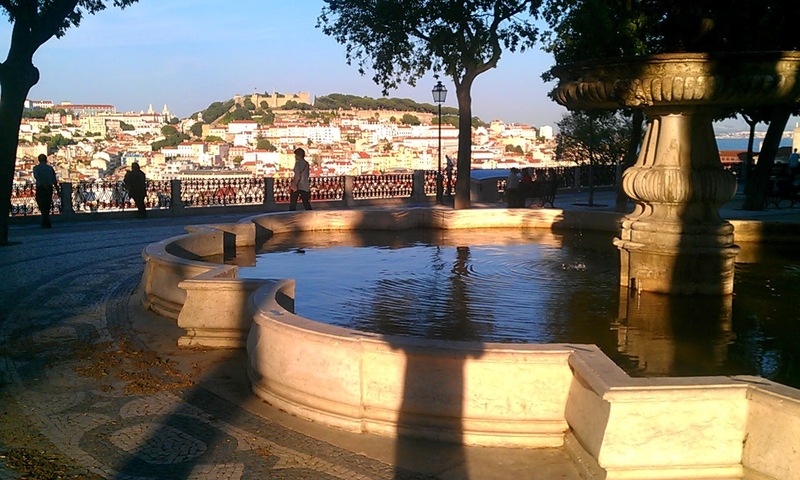 Lisbon is one of those cities that I never tire of visiting. There is something so appealing in Lisbon's lively mix of winding alleys, steep hills, ancient trolleys, with the twin old-towns climbing the hills along each side of the downtown. There is plenty of good food and wine, and it's full of down-to-earth people. Portugal was the first European country to be successful on the world stage, which added a number of grand monuments, squares, boulevards and buildings. But that brief golden age of glory was soon eclipsed by the expansion of bigger, stronger neighbors. Luckily, though, Lisbon's fading elegance has been compensated by its residents' creativity and resilience. People here are traditionally not very rich, but they know how to live, and the street-side lifestyle and the music can match the cultural scene in any other city. And the wonderful variety of neighborhoods provides a lot of opportunities for great runs. So here they are, the five definitive routes in this city of character. Alfama: This is Lisbon's oldest neighborhood, going back to pre-Roman days. It's full of winding lanes, with hole-in-the-wall shops and canaries singing overhead on the balconies, and wash drying overhead. There are few European cities with such an original old town as this. Downtown/Baixa Avenues: This route follows tree-lined Avenida da Liberdade out to Parque Eduardo VII, heading through old squares, past monuments, fountains, and a botanical garden. At the park, you top it off with a great view over the town center. Bairro Alto: This is the other old-town, the one with all the hip stores, restaurants and bars. It's full of young people every evening and also offers some great views over the downtown and towards the castle. Belém: This elegant suburb is home to multiple UNESCO World Heritage Sites, including its famous tower and monastery. There is also a beautiful stretch of riverfront here, another botanical garden, some big museums and the presidential palace. It's also home to those wonderful Portuguese natas, (those amazing custard tarts). Park of the Nations: This modern neighborhood was the site of the 1998 Expo. Now, its extravagant modern architecture and landscaping is home to offices, shops, apartments, museums, hotels, and a wild-looking train station. Along the river, there is a ski-lift, a marina and a few parks. This run explores it all.